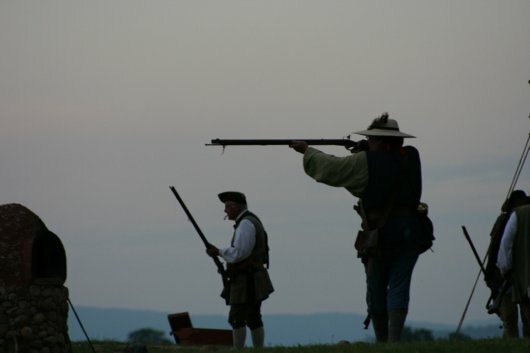 This is a reenactment done every year at the Blockhouse at the Natural Tunnel State Park near Duffield, Virginia. The reenactment is called Seige at the Blockhouse. My husband and I enjoy history, and reenactments are one way for us to teach our kids (somewhat) first-hand about the history of our area. Photo and post by Rustina Mullins. This photo is part of the Appalachia Lens series. Rustina is not originally from the mountains, but their beauty inspires her. She has lived in the Appalachian Mountains for thirteen years and still finds more things worth seeing. With photography, she aims to find a scene that is peaceful and relaxing and wants to share with more people the sites that have captured her heart and show viewers that there is more to the world around them. Rustina is the wife of the thoughtful coal miner.